ITR Concession Company LLC (“ITRCC”) is committed to ensuring that your privacy is protected. ITRCC uses the information you disclose only to the extent necessary to provide our services. This information is not used for any other purpose and is not shared with outside parties, except as provided for in this policy or required by law. The only individually identifiable information that ITRCC collects about you is that information which you choose to share with us. ITRCC also collects information about aggregate site usage. Statistics that we gather about unique visits, repeat visits and page views are all based on IP address, not on your individual activities. • information about your transactions with ITRCC. • transmittal of promotional information regarding new products, special offers or other information which we think you may find interesting. All e-mails sent to your account by ITRCC will be limited to: e-mails sent in response to an e-mail sent by you; communications necessary in order to service your account; or communications directly related to information, new products or special offers ITRCC feels may be of its interest to you. ITRCC will only send e-mail to your account that you have specifically requested and/or authorized pursuant to this policy. You can always decide not to provide your personal information. However, in some cases failing to provide such information may limit your ability to use certain features available through the website. You can let ITRCC know that you do not wish to receive information about special offers, new products and features by opting out at the time you provide your personally identifiable information. You may also change your mind and opt out later by e-mailing ITRCC at support@indianatollroad.org, or by calling ITRCC at 1-574-675-4010. We are committed to ensuring that your information is secure. In order to prevent unauthorized access or disclosure we have put in place suitable physical, electronic and managerial procedures to safeguard and secure the information we collect online. All established account information is password protected and as security measure, we would recommend not to disclose any passwords to anyone. ITRCC will never ask you for your password and remember to sign out of your account and close browser windows at the end of your sessions. If you have any questions about security on our website, you can email us at support@indianatollroad.org. A cookie is a small file, which asks permission to be placed on your computer’s hard drive. Once you agree, the file is added and the cookie helps analyze web traffic or lets you know when you visit a particular site. Cookies allow web applications to respond to you as an individual. The web application can tailor its operations to your needs, likes and dislikes by gathering and remembering information about your preferences. We use traffic log cookies to identify which pages are being used. This helps us analyze data about webpage traffic and improve our website in order to tailor it to customer needs. We only use this information for statistical analysis purposes and then the data is removed from the system. Neither ITRCC nor any of its employees shall be held liable for any improper or incorrect use of the information described and/or contained herein and assumes no responsibility for anyone’s use of the information. In no event shall ITRCC or its employees be liable for any direct, indirect, incidental, special, exemplary, or consequential damages (including, but not limited to, procurement or substitute goods or services; loss of use, data, or profits; or business interruption) however caused and on any theory of liability, whether in contract, strict liability, or tort (including negligence or otherwise) arising in any way out of the use of this system, even if advised of the possibility of such damage. This disclaimer of liability applies to any damages or injury, including but not limited to those caused by any failure of performance, error, omission, interruption, deletion, defect, delay in operation or transmission, computer virus, communication line failure, theft or destruction or unauthorized access to, alteration of, or use of record, whether for breach of contract, tortuous behavior, negligence or under any other cause of action. Although the data found using the ITRCC website have been produced and processed from sources believed to be reliable, no warranty, expressed or implied, is made regarding accuracy, adequacy, completeness, legality, reliability or usefulness of any information. This disclaimer applies to both isolated and aggregate uses of the information. ITRCC provides this information on an “as is” basis. All warranties of any kind express or implied, including but not limited to the implied warranties of merchantability, fitness for a particular purpose, freedom from contamination by computer viruses and non-infringement of proprietary rights are disclaimed. Changes may be periodically made to the information herein; these changes may or may not be incorporated in any new version of the publication. If you have obtained information from the ITRCC website from a source other than its website, be aware that electronic data can be altered subsequent to original distribution. Data can also quickly become out of date. It is recommended that careful attention be paid to the contents of any data associated with a file, and that the originator of the data or information be contacted with any questions regarding appropriate use. If you find any errors or omissions, we encourage you to report them using ITRCC’s website e-mail link. 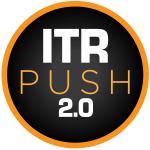 In some instances, ITRCC may distribute content sometimes supplied by third parties and users. Any opinions, advice, statements, services, offers, or other information or content expressed or made available by third parties, including information providers, users, or others, are those of the respective author(s) or distributor(s) and do not necessarily state or reflect those of ITRCC and shall not be used for advertising or product endorsement purposes. Reference herein to any specific commercial products, process, or service by trade name, trademark, manufacturer, or otherwise, does not constitute or imply its endorsement, recommendation, or favoring by the State. ITRCC’s website contains links to other related web sites and resources. ITRCC is not responsible for the contents of any off-site pages referenced. The user specifically acknowledges that ITRCC is not liable for the defamatory, offensive, or illegal conduct of other users, links, or third parties and that the risk of injury from the foregoing rests entirely with the user. ITRCC is committed to complying fully with the Children’s Online Privacy Protection Act. Accordingly, if you are under the age of 13, you are not authorized to provide us with personally identifying information, and we will not use any such information in our database or other data collection activities. We appreciate your cooperation with this federally mandated requirement. Users are cautioned that the collection of personal information volunteered by children on-line or by e-mail will be treated the same as information given by an adult and may be subject to public access. Construction of the disclaimers above and resolution of disputes thereof are governed by the laws of the State of Indiana. The laws of the State of Indiana, U.S.A. shall apply to all uses of this data and this system. By use of this system and any data contained therein, the user agrees that use shall conform to all applicable laws and regulations and user shall not violate the rights of any third parties. YOUR CONSENT By using this site, you consent to the collection and use of this information by ITRCC as described in this policy. We reserve the right to modify this privacy statement at any time, so please review it frequently. If we make material changes to this policy, we will notify you here, by e-mail, or by means of a notice on our home page.